Communities make plans about situations which are likely to be in the future and they try to continue their existences in accordance with these plans. But some communities can not keep up with this cycle and they are separated from the others and are marginalized and then they are doomed to extinction or exploitation. To avoid it, a structure that is open to developments and adapts them is necessary. The most important condition of that is a creative individual. These individuals improve societies by protecting them from extinction or exploitation. Creativity provides facilities in all areas of life for people and helps to be individual compatible with changing and developing world. This situation plays a significant role not only in the community but also individual's life and in coping with many evets faced. Everything which prevents the development of creativity should be detected and eliminated when we think about the importance of creativity. In this study, what is creativity, the importance of creativity, positive and negative factors affecting creativity and the importance of art education in creativity have been examined and datum obtained from them have been interpreted. Artut, K. (2004). Okul Öncesinde Resim Eğitimi. Ankara: Anı. Bartlett, F. C. (1958). Thinking: An Experimental and Social Study. New York: Basic. Buyurgan, S. & Buyurgan U. (2007). Sanat Eğitimi ve Öğretimi. Ankara: Pegem A.
Erinç, S. M. (2004). Kültür Sanat Sanat Kültür. Ankara: Ütopya. Gardner, H. (1994). Creating Minds: An Anatomy Of Creativity As Seen Through The Lives Of Freud, Einstein, Picasso, Stravinsky, Eliot, Graham and Gandhi. New York: Basic. Gültekin, T. (2011). Sanat Eğitiminde Estetik Değerlerin Gelişimi Sürecinde Çocuk ve İletişim. Akademik Bakış Dergisi, 24, 1-14. Kırışoğlu, O. T. (2002). Sanatta Eğitim Görmek Öğrenmek Yaratmak. Ankara: Pegem A Press. Karayağmurlar, B. (1993). 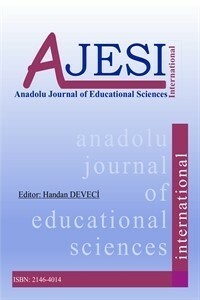 Yaratıcı Bireylerin Yetiştirilmesi Açısından Genel Eğitim İçinde Sanat Eğitiminin Yeri. Dokuz Eylül Üniversitesi, 1, 368-387. Karayağmurlar, B. (1990). Sanatta yaratıcılık ve eğitim. Yayınlanmamış Yüksek Lisans Tezi, Dokuz Eylül Üniversitesi, İzmir. May, R. (2001). Yaratma Cesareti (A. Oysal, Çev.). İstanbul: Metis. Ruppert, S. S. (2010). Creativity, Innovation and Arts Learning: Preparing All Students for Success in a Global Economy. Arts Education Partnership (NJ1). Sak U., San, İ., Ören, M. Üstindağ & the others (2011). Okulöncesinde Yaratıcılık. Eskişehir: Açık Öğretim Fakültesi. Sünbül, A. M. (2000). Yaratıcılık ve Sınıfta Yaratıcılığın Geliştirilmesi. NE Ü. Eğitim Fakültesi Dergisi, 10, 82-94.